This is what my Friday night looked like... I stamped and sealed my save the dates! 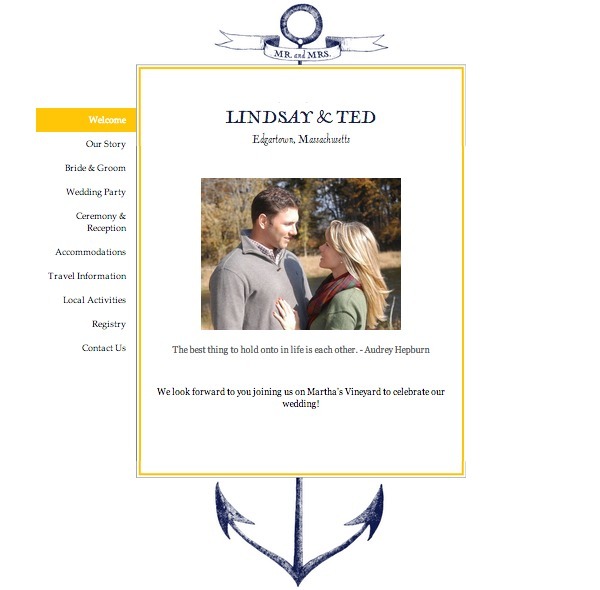 My stationer suggested utilizing WeddingWire to build our website. They have several great templates to choose from and this Vera Wang design complimented my save the date. I have opted to keep my site password protected. A family member took a few photos of us shortly after we were engaged to use for the site. I'm still trying to figure out where and when we will do our "official" engagement shoot. I wish we were closer to the Vineyard. Back to the weekend...Saturday we hung out with friends and went to the new Dinosaur Bar-B-Que in Stamford. 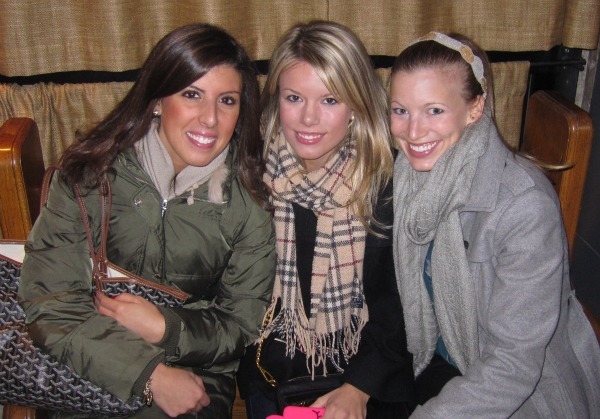 Danielle, Dori and I were bundled up waiting for our table. It was worth the long wait, I loved the side dishes and cornbread. I love your save the dates! Did you post a pick of your ring and I missed it? This brings back oh-so many joys of wedding planning for me! When we sent the save the dates it felt that much more real and exciting! We also used wedding wire and LOVED it. We were able to keep all of our guest both near and far up to date. I just stumbled across your blog, and I must say that you are an adorable bride-to-be. A Martha's Vineyard wedding is my absolute dream and I can't wait for more updates from you about your wedding planning! Congratulations! I love those stamps. I have my second batch of invitations to mail this week and I hope there are cute stamps. How beautiful. What a fun, even though it's crazy, process!